Getting rid of junk isn't exactly as easy as it used to be in the old days. Especially, if you live in Salem New Hampshire and need to get rid of junk. Yearly the Town of Salem will let you buy only 3 C&D disposal slips for $25.00 each. 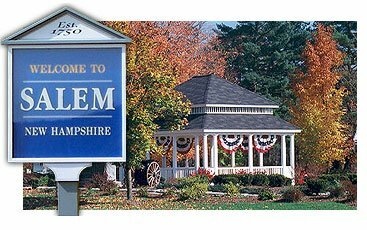 However the rules on what you can and can't dump are strict at the Salem dump and a lot of the time they require residents to sort their trash before getting rid of it. They are also extremely selective on what you can use the disposal coupons for. Too many times we've hear about Salem residents going through the hassle of buying the coupons, going through the trouble of renting a Uhaul, loading the Uhaul, all to get to the dump and not be able to even get rid of the junk they intended to! For these reasons and many more Trash Can Willys is here to help! Full Service Removal As Low As $35! We can take just about anything and the best thing about our service is we do all the work, all you have to do is point! Thats right we remove your junk from anywhere it sits on your property. There are also no size restrictions, from whole house clean outs in Salem NH to television disposals, no job is too large or too small! For more information visit our junk removal & hauling in Salem NH page. DIY Trash Out Dumpster Rentals As Low As $249! Our dumpsters are extremely affordable. Unlike other dumpster removal companies we rent half dumpsters at discounted rates! This means if you have a fairly small load you can rent a half dumpster and save money since you aren't using the full dumpster. We also do not measure a half dumpster in terms of size but instead by weight giving our salem customers yet another savings opportunity if items are big and bulky but not very heavy. Whether you need a full 20 yard dumpster or just a few hundred pounds of junk and debris hauled away and don't mind doing the work we recommend checking out our dumpster rental in Salem NH page for more in-depth information! Curbside Junk Pickup & Hauling - Set your appointment for just $15!